It so happened that Sunny Dewan of HDIL and his friend went to a tony nightclub in South Mumbai – Prive but found the VIP Table occupied by some teeny kids. The ‘Velvet Rope’ allures these nouveau riche kinds and Sunny wanted that VIP Table any which way. He walked up to the bunch of teenagers and requested if they could shift to the bar as some of his important guests are coming. The teeny crowd said a polite ‘NO’. Sunny Dewan gulped a couple of drinks and re-approached the teeny bunch at the VIP Table and proposed that if they move from the VIP Table, he will foot not only the tab for what they had but whatever they would have that night. No sooner had Sunny Dewan completed his proposal, one teenager replied – “Why don’t you stop bothering us and I would foot your tab here not only for tonight, tomorrow, a year but as long as you live.” Sunny was stumped. 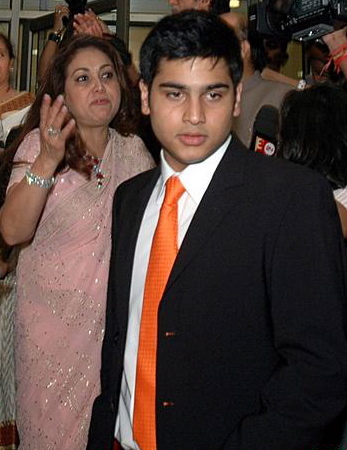 The Bandra Boy – Sunny Dewan didn’t know that he was showing Moolah Power to one of the Ambani kids, Anil Ambani’s elder son Jai Anmol. I think that was fitting reply. Seems like Junior AA has a smooth tongue like Daddy. Sunny Boy, you are a small fry. Don’t be so jumpie. Couldn’t help but re-visit your site today, Mr. Scandal! Though I don’t know the antagonist here, it’s fab reading anyhow. Also, your stories would be better identified with a wider base of people if you tag all the people in the pics. All best and stay safe, Mr. Fashion Scandal! haha..GO ANMOL…am glad u showed DEWAN DUDE…. Thanks Ajay but i ain’t tech-savvy to spread the footpring of these blog. But yeah, word-of-mouth publicity is doing wonders. Safe? Well honesty is not always appreciated, especially by those who are exposed but then that is one compromise I never made and will never make. How is Dewan’s company doing these days? And damn, why did he decide to turn Dewan all of a sudden? Does he think it sounds royal (I have news form him -it does not). Anu is the victim of some very unfortunate fashion advice – that a Birkin makes everything right (oh honey, it so does not). At least they seem sort of inoffensive and polite, unlike many other nouveau riche wannabes. Well I think that ‘Dewan’ is for effects. What royalty??? They made their money by using goons to empty out Chawls in Mumbai and then thought of doing Couture week to enhance image. This is the last HDIL Couture Week. No money and Manish Malhotra will showcase yet another Couture Collection. Hope is isn’t planing to show what he showed in Delhi Couture week coz if that’s MM’s couture, wonder what his pret would be. I just checked HDIl’s cash flow statements for fun and damn, they haven’t had a positive operating cash flow for 5 years – basically their cash flow is positive only because of financing (basically loans). Wonder how long a company can keep running negative operating cash flows before the game’s up. How long have they been in business? 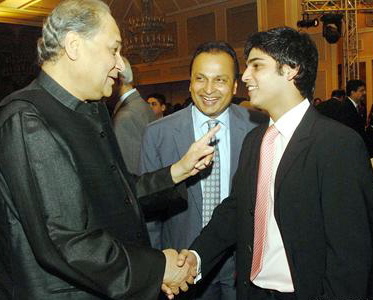 I’ve heard this story, but someone told me it’s Gautam Singhania who clashed with the Ambani kid. Maybe they are are wrong. So helpful and so useful post Fashion Scandal . Thanks for such informative post. Good job. I found this post very informative which I found on bing. I bookmarked your blog so I can come back soon. This was exactly what I was looking for. Thanks!!! I’d must verify with you here. Which is not one thing I usually do! I enjoy studying a submit that can make people think. Additionally, thanks for permitting me to remark! Interesting thread. Thanks and waiting for another one. now thats what i’m talking bout! This website looks great and reads even better! You share some great opinions and insight here. Always looking for motivating blogs to keep mine going! HI Folks! If you do article marketing, here is a link to a site I found. Congratulations on having one of the most sophisticated blogs Ive come across in some time! Its just incredible how much you can take away from some thing simply because of how visually beautiful it is. Youve put together an excellent blog space –great graphics, videos, layout. This happens to be a must-see blog! Hello. Really fascinating internet site. I discovered it on Yahoo. I’ll definately recommend it to my pals. Please maintain up the fantastic function. Deference to website author , some good information . Good day! I know this is kinda off topic nevertheless I’d figured I’d ask. Would you be interested in exchanging links or maybe guest writing a blog post or vice-versa? My site goes over a lot of the same topics as yours and I feel we could greatly benefit from each other. If you’re interested feel free to shoot me an e-mail. I look forward to hearing from you! Excellent blog by the way! Amazing site 🙂 great content, fun to read.. Hopefully you keep your blog updated so people like me can be back and read some more!! Nice blog you created! It looks very well laid out, and looks like you know exactly what you’re doing. Hopefully you keep your blog updated so people like me can be back and read some more!! Some genuinely nice and utilitarian information on this website , besides I think the design and style has got great features. Hi, Interesting post. What you just wrote here definatly had me interested till the last word and to be honest I rarely read a entire blog post, because most blog posts never seem to keep my attention as they are boring and full of nonsense. But your first paragraph was extremly well written. I really appreciate that you’ve taken the time to write such a helpful post. I’m sure this post wil help lots of people. So bravo! Keep up the good work! Hey, I’ve been comeing here to your webblog on and off for months now and I always find a gem in your posts. Thanks for the share. Thank You For This Post, put it in my favorites. Thanks again for taking the time to put this online. I unquestionably liked every bit of it. Awesome blog! Was very interesting. Definitely bookmarking your blog.. Please update!! I would like to thank you for the effort you have put into publishing this information. Your article has inspired me to begin my own webblog now. Thanks again for sharing this online. Surfing the web, I ran across this webblog. I was browsing for various ideas for a layout for my own website. I like your layout, did you buy or modify this layout? I have a webblog also and my layout seems to be kinda terrible as a result people don’t visit on my website very long. Hi i’m new here. This is a great website rich in content i like your website. Hiya, I am really glad I’ve found this information. Nowadays bloggers publish just about gossips and net and this is really irritating. A good website with exciting content, that’s what I need. Thanks for keeping this website, I will be visiting it. Do you do newsletters? Can not find it. I am glad to be a visitor of this complete web site! , thanks for this rare info ! . Good day intelligent points.. now why did not i consider these? Off subject barely, is this web page pattern merely from an extraordinary set up or else do you employ a customized template. I exploit a webpage i in search of to enhance and nicely the visuals is likely one of the key issues to complete on my list. Fantastic read, I just passed this onto a co-worker who was doing a modest investigation on that. And he actually bought me lunch because I found it for him .So let me rephrase that: Thx for lunch! Yours trully, Patty. Hello everyone! This website is fantastic and I’m sure that I will be back here. Jai Anmol Amabni you ROCK dude!!!! That sunny dewan guy got put in his place and am glad you showed him what a LOSER he truly is. HDIL has thousands of crores in debt and barely can make their bank loan interest payments. One day sunny with his pathetic inflated ego will learn his lesson to show humility as there are much bigger fish than him out there. Muje Apse Milna Hy..May Big Problem Sir.